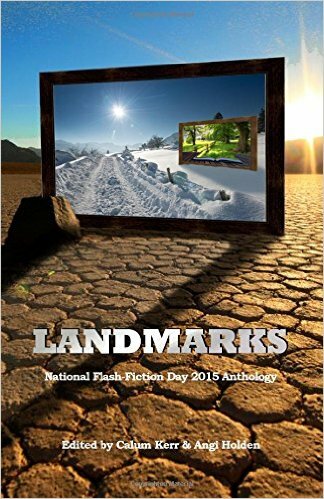 ← Celebrate National Flash Fiction Day! During a Sunday afternoon visit to the small town of Bewdley, Worcestershire situated on the River Severn, Frank and I stumbled across a 1940s-themed event along the Severn Valley Railway Line at Bewdley train station. GIs, Tommies, civilians, landgirls and glamorous ladies were out in their glad rags strutting their stuff up and down the platform. How wonderful to be transported back to a simpler time when we didn’t have omnipresent, tyrannical technology at our heels. But I told myself I shouldn’t get too nostalgic; I wouldn’t have enjoyed rationing, air-raid shelters, blackouts or indeed any of the fears and deprivations that ordinary folk endured during WWII. It was pure escapism though on a very hot day with tunes from a less cynical age such as Mairzy Doats, playing in the background. Old-fashioned trains shunted in and out of the the station without much care for deadlines or timetables; time slowed to a more manageable pace. On the other hand, I was also quite glad it was 2018 because it meant I could take a few snaps with my phone and share them with you. Toodlepip! Until the next blog! Two cool ladies that went the extra mile to look good! Found this vintagey dress at the open-air sale behind the ticket office so quickly changed! Himself in front of the iconic Spitfire that epitomised Britain’s fighting spirit during the darkest times of the Battle of Britain. More photos of our train trip in 2014 along the Severn Valley Railway Line. This entry was posted in travel, Uncategorized and tagged 1940s style, Bewdley, day out Worcestershire, glamour, railway fans, Severn Valley Railway, travel, vintage fashion, WWII fashion. Bookmark the permalink. Fascinating post! We travelled the Bridgnorth to Bewdley line about 25 years ago when we lived in Birmingham and took my mother who, of course, remembered the old steam trains. It was a lovely journey into the past. However, like you, I wouldn’t have appreciated quite so much the privations of wartime England. My mother had some stories to tell about that!